Phenomenal feathers, whatever the weather! 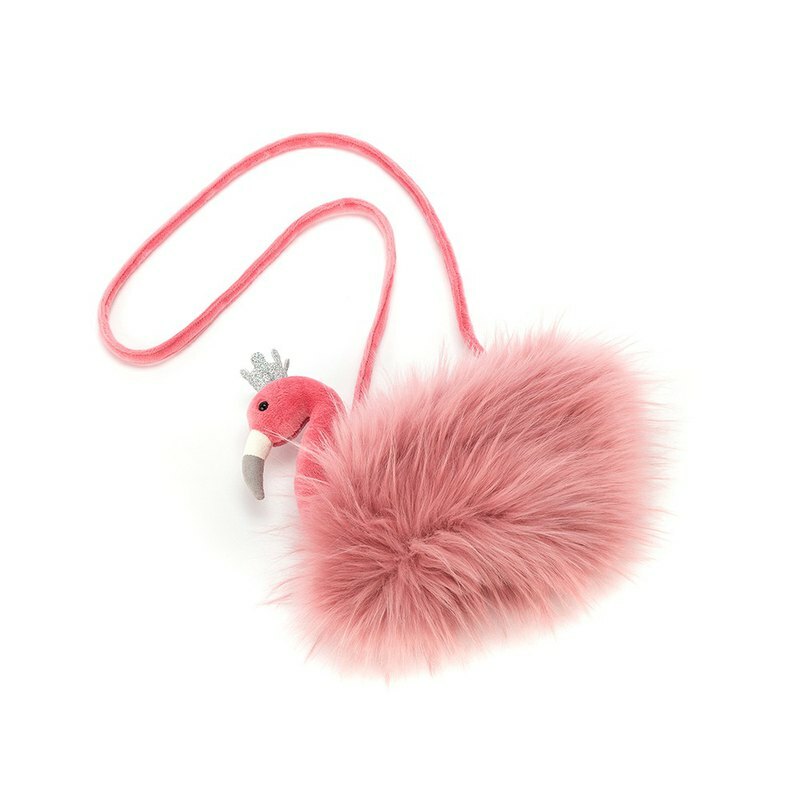 Shake a leg and grab your stuff with the Fancy Flamingo Bag! This pink, playful bag has a long, velvety strap to swing over your shoulder. Pop your phone and essentials inside, then zip up and strut with your silver-crowned pal. Keep it flamazing!